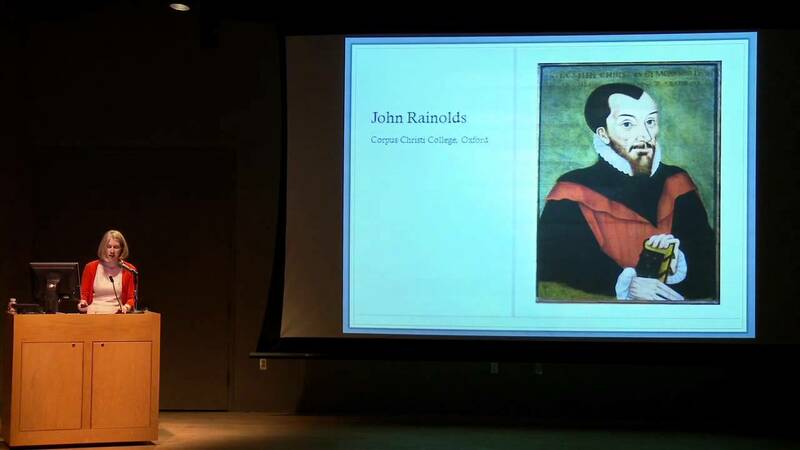 In April, Helen Moore, Fellow and Tutor in English at Corpus Christi College, University of Oxford, spoke about the history of the King James translation at the Harry Ransom Center. The talk is now online on YouTube. Moore was lead curator of Manifold Greatness: Oxford and the Making of the King James Bible, an exhibition held at the Bodleian Library at the University of Oxford in 2011. Her illustrated talk addressed the role played by Oxford in the translation of the King James Bible, the methods used by the translators, and some of the items displayed at the Oxford exhibition. The event was co-sponsored by Corpus Christi College, University of Oxford and The Wall Street Journal. The Ransom Center’s related exhibition The King James Bible: Its History and Influence is on view through July 29.